Afghanistan faced Ireland in the one-off test match after the ODI and T20I series in India. The test match was played at Rajiv Gandhi International Cricket Stadium, Dehradun, Uttarakhand. Ireland batted first and posted the total of 172 in their first innings. In reply, Afghanistan scored 314 runs which gave them a healthy lead. In their second innings, Irish managed to posted only 288, thereby setting Afghan the target of 147 runs. The Afghanistan batsman Ihsanullah Jannat and Rahmat Shah played a fantastic knock of 65 and 76 runs respectively to ensure that their team crosses the line easily. Rashid Khan's five-wicket haul in the second innings also helped Afghanistan in their victory. Afghan player Rahmat Shah was awarded the Man of the Match for his match-winning knock of 76 in the 2nd innings. Rahmat missed out on a hundred in the first inning where he got dismissed on 98. 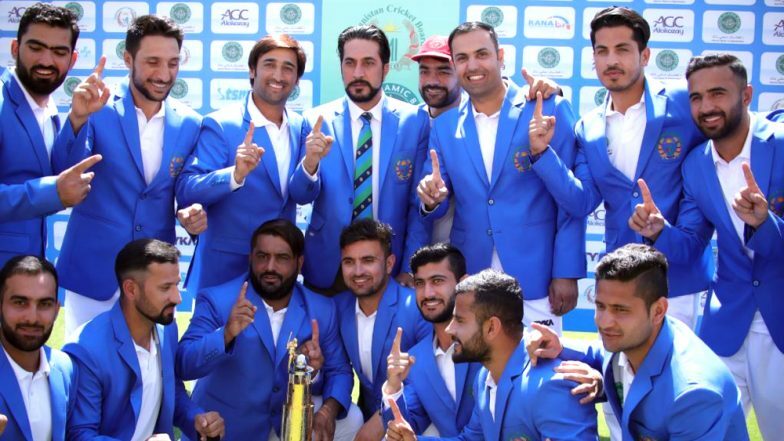 It must be noted that topmost team like India, New Zealand and Bangladesh took more than 20 matches to register their first victory, whereas the newly entrant Afghanistan Test team only took two matches to record their historic win.